What's in the Guardian Grow Manager for you? Software automation keeps you operating at the peak level of performance 24/7. Sensor controlled dynamic dosing maintains your grow recipe at precise levels without intervention reducing the labor required in the growing process. AEtrium System aeroponic hydroponic technology delivers 40% more yield when compared with plants grown in soil. 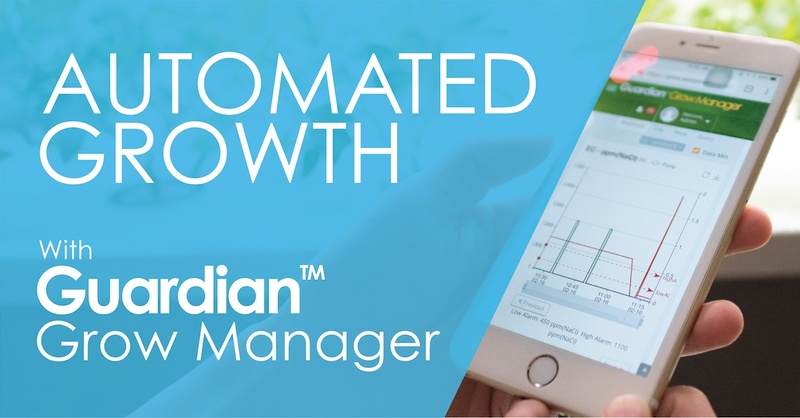 The Guardian Grow Manager software automation guarantees your results. There is no limit to your creativity in satisfying your plants. 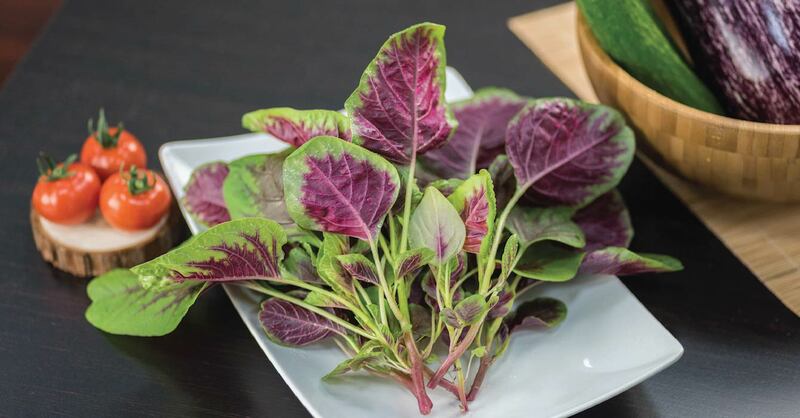 You can architect your grow recipes to precisely meet the nutrient requirements of your selected variety or you can use any of the recipes in the AEssenseGrows Fresh Produce Catalog. This gives you both the ability to test and develop new growth cycles while at the same time protecting your intellectual property as you learn what produces the best and most delicious results. 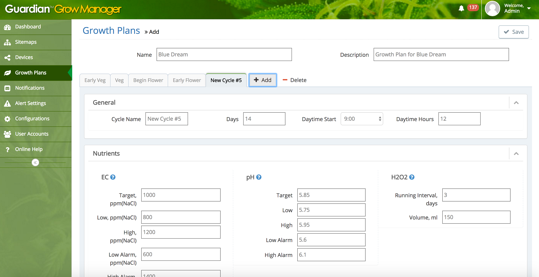 You can inquire, see, and change the nutrient dosing for any AEtrium growth environment from anywhere with secure access to your growth facility. Change light cycles and intensity, pH levels, water temperature, pump health, total disolved solids or electrical conductivity, carbon dioxide levels, and nutrient status with an easy intuitive interface. 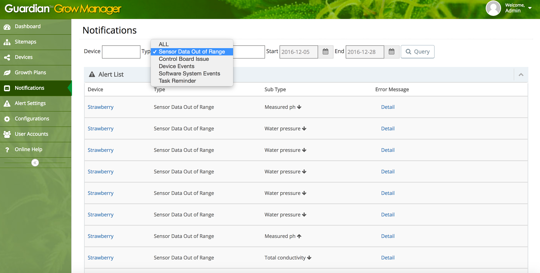 Status, usage, & results for every irrigation and nutrient cycle (fertigation) are charted over time with easy zoom-in/zoom-out with data range and time sequence adjustments enabling detailed analysis of production operations and growth performance. Notifications of pending requirements like calibration, cleaning, and likely nutrient refill schedules make planning easy. Data logging enhances your ability to tune your growth plans to optimize for your harvest strategy. Create or upload a virtual layout for your physical location and the AEtrium growth bays for your site. 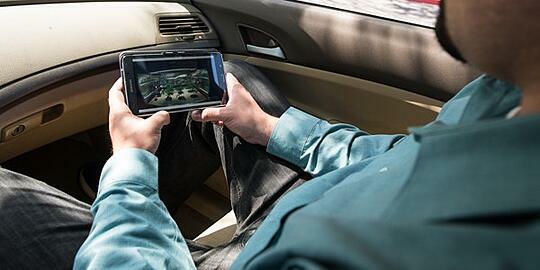 This eases planning, assignment of tasks, monitoring efficiency, and reduces maintenance time. This visibility is very useful when grow environments are very large or individual grow space or rooms are oddly shaped or remotely located. The detailed sensor data & operational status for every device is at your fingertips and can be shown at any time from any location. Optional video cameras give you direct access to your rooms. There is no guesswork to worry about. You can adjust your device configuration for any deployed unit, turn them on or take them offline as required. You can also adjust the nutrient dosage method, PH dosing control, or irrigation timing as preferred. An easy to understand user interface provides remote access protected by your firewall, encrypted passwords, & user access and rights management control. Operators can monitor your system without entering your clean room environments. This reduces the potential for pest introduction and reduces the labor required to manage a harvest. You can set your alerts to any urgency level. Specific threshholds, notification accounts, status updates and different targets by event type, pending actions, To-do lists, and alarms, are all integrated as part of operational monitoring plan. The notification functions can be used as a log of events or they can be filtered to notify specific individuals per each type of alert generated by the system. Each installation has the option to set notification threshholds and timing to meet individual preferences. Important issues can be closely monitored and common activities only logged to backup storage for certifications or later reporting. Guardian™ Grow Manager software gives you direct access to any machine in your AEtrium installation from your phone or desktop based on your secure access from anywhere in the world. The Grow Manager monitors and logs access control and activity for all users. No need to physicaly go in and look for status, no need to manually change the dosing. Just a few clicks and you have peace of mind that Guardian automation has your operations running smoothly. Review your active machines and performance, control them, and relax. The Guardian takes care of you so you don't have to. Please request a demo so we can show you what it can do!